We interrupt this tour of the worst teams in the American League to bring you this match-up between the two best teams in baseball. 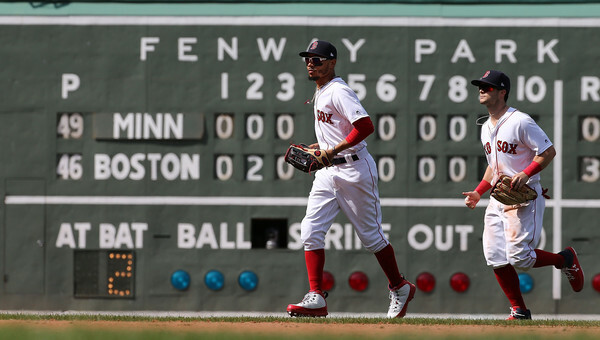 First place is not quite on the line, unfortunately, as the Red Sox enter the series with a 5.5 game lead – but the Yankees have a 5-4 advantage in head-to-head play thus far, and the importance of these four games cannot be overstated. I would’ve felt a whole lot better about this series if it wasn’t for yesterday’s infuriating loss to the Orioles, though. CC Sabathia had one of his best starts of the season in that first game, pitching to the following line: 7 IP, 6 H, 1 R, 1 BB, 5 K. He went through the lineup four times, and retired the last six batters that he faced in order. Chris Sale shutdown the Yankees offense in the second game (7 IP, 1 H, 0 R, 1 BB, 11 K), and I’m really happy that he’s not starting in this series. The Yankees hit too many home runs in this series, socking ten dingers in total. The culprits: Aaron Hicks (three times, all in the third game), Greg Bird (twice), Aaron Judge (twice), Miguel Andujar, Gleyber Torres, and Kyle Higashioka. Rafael Devers, Dustin Pedroia, Eduardo Rodriguez, Chris Sale, Carson Smith, Christian Vazquez, and Steven Wright are all on the disabled list, and none will be back for this series. Pedroia and Smith are almost certainly done for the season, too. Xander Bogaerts is also banged-up, but he’s not expected to land on the DL. The Red Sox are an MLB-best 75-34 with a +176 run differential; and they’re 19-6 with a +57 run differential since dropping those two games to the Yankees. They also added Nate Eovaldi and Ian Kinsler in the lead-up to the trade deadline, so they’re arguably a bit better now than they were at the beginning of July. And that’s saying something. If you’re looking for kinks in the armor, you can scroll back up a bit, as the team simply isn’t all that healthy right now. Steve Pearce (140 OPS+) might get the start at first against CC Sabathia (and J.A. Happ, if he’s able to start), and Blake Swihart (65 OPS+) will start a game or two at catcher. We’ll probably see Brock Holt (96 OPS+) get some action at third base, too. Johnson opened the season in the rotation due to injuries, transitioned to the bullpen after just one start, and then moved back to the rotation at the end of June due to, you guessed it, injuries. The 27-year-old has been quite good as a starter this year, pitching to a 1.80 ERA in six starts (as opposed to a 5.10 ERA in 30 innings out of the bullpen). His peripherals aren’t great, which suggests that there’s regression incoming, but he’s filled-in admirably thus far. It might not be a stretch to call Johnson a junkballer. He’s basically a three-pitch guy, with a high-80s four-seamer, a high-70s slider, and a mid-70s curveball, but he’ll mix-in a mid-80s sinker and low-80s change every so often. Porcello is having a fairly typical Porcello season. He’s taken all of his turns in the rotation, he’s eating innings (131.2 IP), limiting walks (5.9%), striking out batters at an average rate (22.4%), and his 4.03 ERA is right around league-average (109 ERA+). And this will be his third start against the Yankees this year – the first was a 7 scoreless innings effort, and the second was a 5.1 IP, 5 run loss. 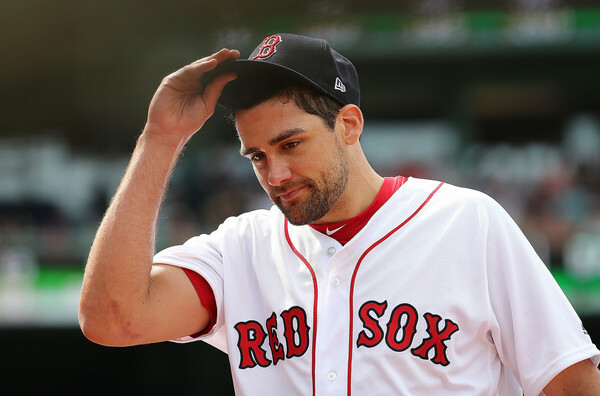 The Red Sox acquired Eovaldi from the Rays last week, in exchange for LHP Jalen Beeks (which is not a made-up name). He was decent with the Rays in his first season back from Tommy John Surgery, pitching to a 4.26 ERA (94 ERA+) in 10 starts, with strong peripherals, and was one of the best available arms on the market. It’s a pretty good story, even though he shipped up to Boston. Craig Kimbrel remains one of the best closers in the game, pitching to a 2.20 ERA with an excellent 36.6% strikeout rate in 45.0 IP. Matt Barnes (2.30 ERA, 37.6 K%) and Hector Velazquez (2.55 ERA) have been their best middle relievers to-date, and 30-year-old rookie Ryan Brasier (0.90 ERA in 10 IP) has been excellent since his call-up three weeks ago. Joe Kelly may be the bullpen’s biggest issue right now. He sports an 8.35 ERA since the beginning of June, and manager Alex Cora seems hesitant to use him in higher-leverage situations as a result. They have some depth, but the bullpen looks quite a bit thinner without Kelly serving as a quality bridge to Kimbrel. The implications of this series are huge, even if the division lead isn’t quite at stake this weekend. One of these teams is going to walk away with a head-to-head advantage, and that’s a big deal. And the fact that neither team is at full strength makes this a slightly more interesting match-up, for me.